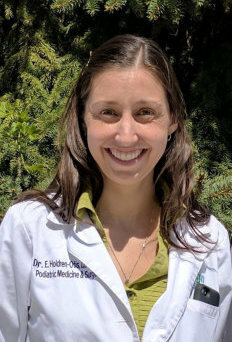 Dr. Holdren-Otis received her medical education at Scholl College at Rosalind Franklin University in North Chicago, IL. Throughout her training, she worked at Cook County Hospital as well as at multiple VA venues. Dr. Holdren-Otis continued her training at Genesys Regional Medical Center in Grand Blanc, MI, where she learned advanced techniques for the treatment of diabetic wounds and received 3 years of surgical training for correction of all foot and ankle deformities. She currently lives in Grand Blanc with her husband and her young daughter Lilliana. In her free time she enjoys running, baking cookies, her dogs, the Detroit Tigers, and spending time with her family.